Abstract—Peer assessment can help address the problem of imbalance between teachers and students in China’s higher education environment, and it can also effectively promote the development of learners' various abilities. However, previous studies indicate that students generally ascribe more value to teacher assessment than to peer assessment. Accordingly, methods to improve the efficiency of peer assessment demand more attention. This study explored the validity of peer-assessment and the acceptance of peer assessment via case collaborative out-of-class learning in a “natural language processing” course. Experiments showed a statistically significant correlation, but no significant difference, for peer-assessment between-groups and the teacher assessment. Peer-assessment can be used as a reference for the teacher assessment. On the contrary, there was a statistically significant difference but no significant correlation for the within-group assessment and the teacher assessment. Additionally, students reported that they found the peer-assessment based on collaborative out-of-class learning helpful and felt they benefited from peer assessment during teaching practice. Index Terms—Collaborative out-of-class learning, natural language processing, peer-assessment, engineering education. Meixiu Lu is with School of Information Science and Technology/School of Cyber Security, Guangdong University of Foreign Studies, Guangzhou, 510420, China (e-mail: lmx1977@163.com). Manzhen Yang is with School of English and Education, Guangdong University of Foreign Studies, Guangzhou, 510420, China (corresponding author: Manzhen Yang; e-mail:199610576@oamail.gdufs.edu.cn). Xia Li is with Laboratory of Language Engineering and Computing, Guangdong University of Foreign Studies, Guangzhou, 510420, China (e-mail: 200211025@oamail.gdufs.edu.cn). 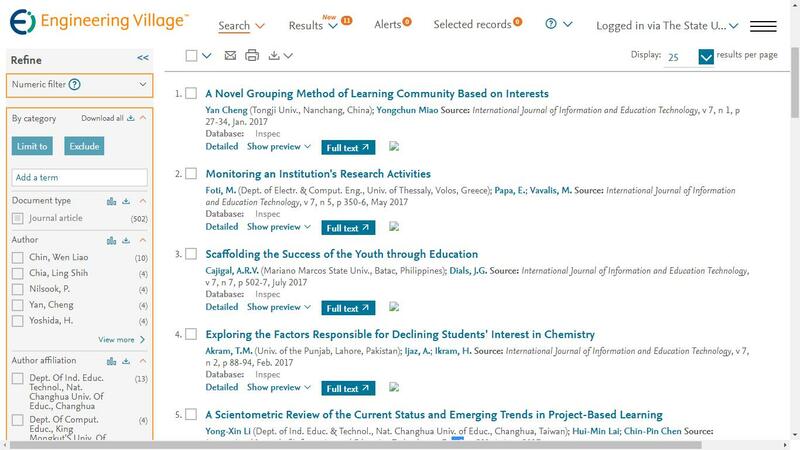 Cite: Meixiu Lu, Manzhen Yang, and Xia Li, "A Study on Peer-Assessment Based on Collaborative Out-of-Class Learning," International Journal of Information and Education Technology vol. 8, no. 10, pp. 748-753, 2018.